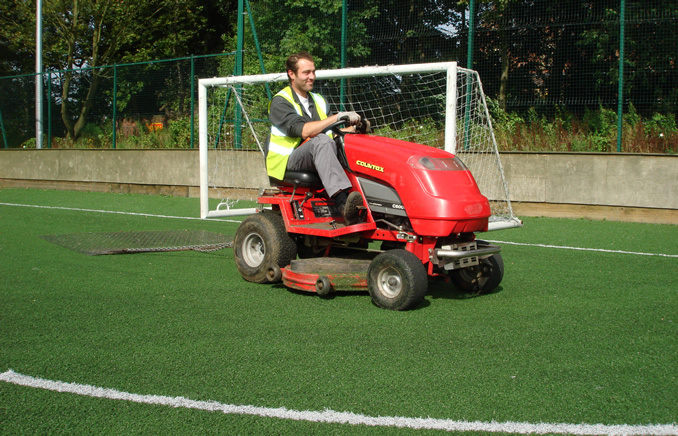 Our sports ground maintenance service developed as a necessary extension of our work in schools and is now provided at primary and secondary schools, sixth form colleges, sports complexes, football clubs, cricket clubs and bowling clubs across the north of England. 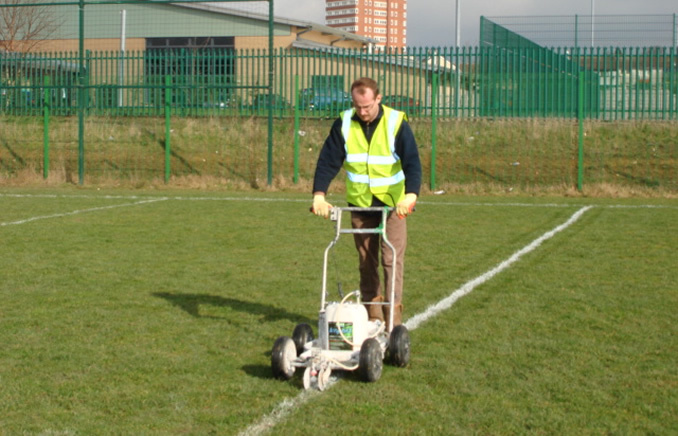 Our pitch layout service covers the full range of ball games and athletic activities ranging from simple discus circles, through football and rugby pitches right up to the most complex pitch layout operations such as 400 metre eight lane running tracks. Where required all pitches are marked out to official dimensions although space and age constraints often dictate proportional modifications to official dimensions. The paint used is high quality, ready-mixed professional line marking paint which, when applied in dry conditions, will remain in an adequate state of visibility for period of two weeks.